Eye protection is so important, even at a young age. As it has gotten brighter out with the start of the season changing, I realized how important it is for Adalyn to wear sunglasses. 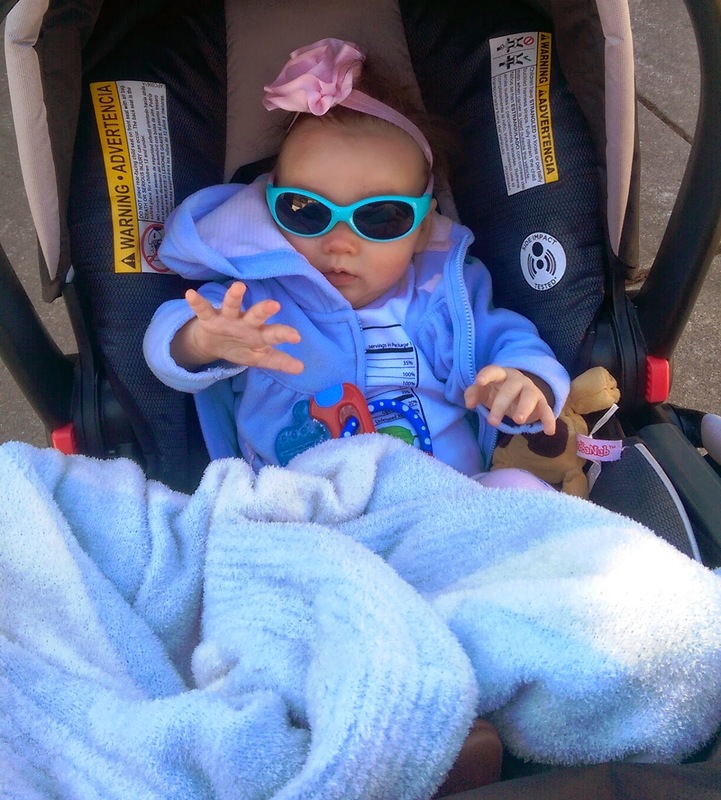 We walk outside most days of the week and since she is still in the infant car seat, the sun is often in her eyes. We were sent a couple pair of Real Kids Shades to review. These sunglasses are so cute! I chose the pink daisy shades and the aqua and blue. 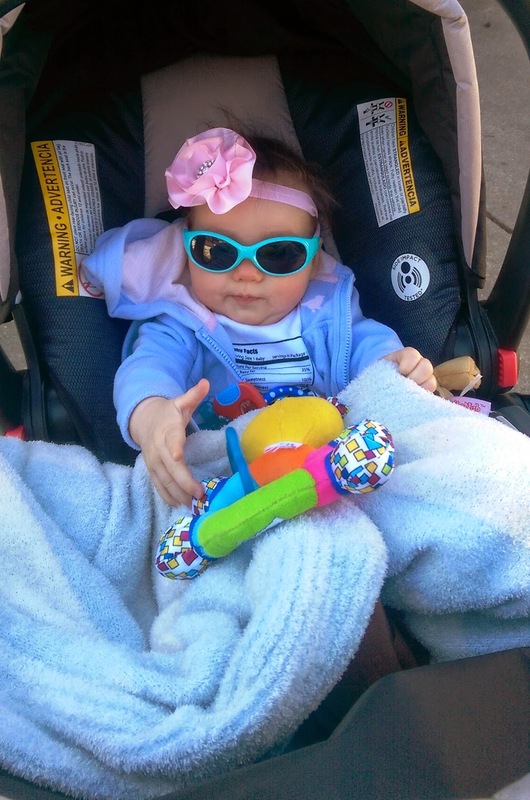 Adalyn has been wearing these on walks to help protect her eyes (any to look super cute- of course). These sunglasses retail for $12.95-$29.95 depending on the pair you choose. They are very flexible and unbreakable- great for kids and babies who love to pull on things. They have an adjustable band that goes around the child's head to stay on right. The sunglasses offer 100% UV protection and have shatterproof lenses. Right now, these are a bit big on Adalyn because she has a small head but they can still be worn. The sunglasses come in all different colors which is fun. Real Kids Shades is working with Prevent Blindness America to help educate the public on how important it is to protect children's eyes. My dad is an optometrist and my brother is in school to become an optometrist so eye health is an important issue to me. The giveaway will be for your choice of sunglasses from Real Kids Shades to one reader.